It is the chapel of the brotherhood of this Saint since the 14th century. The altarpiece made in 1690 with different saints headed by St. Catherine dominates the space. It also has plenty of Baroque-style vegetation decoration. The two canvases representing Our Lady of Nieva and the Apparition of the Virgin with the Child to St. Rose of Lima are both 17th century. 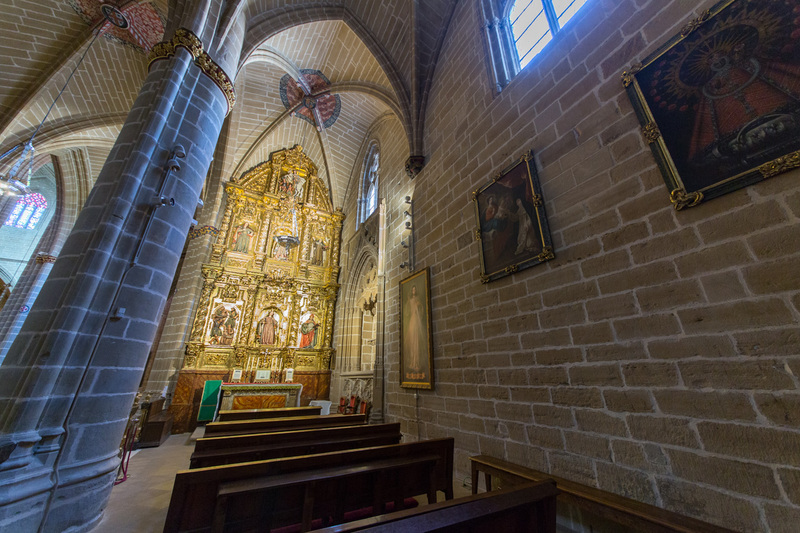 The painting of St. Teresa which is near the chapel was made by Carlos Berdusán in the 18th century. 09. Puerta de San José10. La girola11. Sacristia Mayor12. Capilla del Santísimo13. Capilla de San Juan Evangelista14.